We, the citizen stakeholders, are the true power; all we have to do is exercise it. makes the case for the importance of local civic participation. educates, motivates, and activates beginner citizen activists. teaches how to participate in politics. provides a step by step guide on what to do. addresses the reasons that deter citizens from declaring their ideas, thoughts, and opinions in public. inspires citizen activists across the political spectrum to participate in political activism. 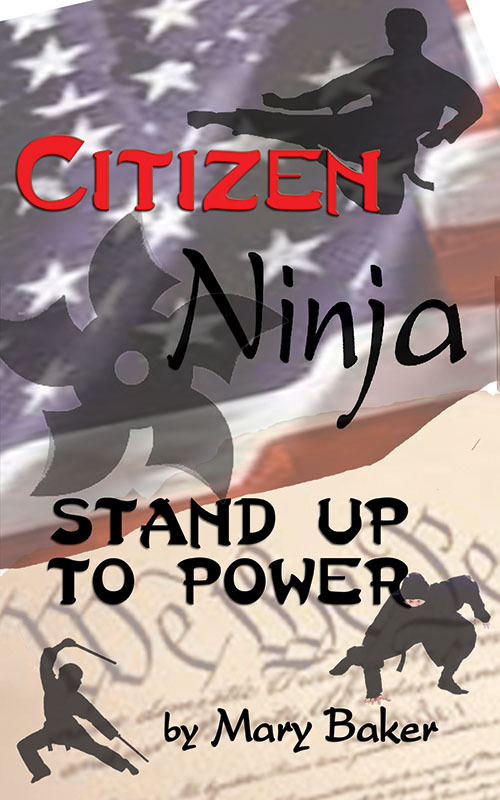 Get your copy of Citizen Ninja, Stand Up to Power today! Are you frustrated with a government that doesn’t seem to listen to you? Are you sick of political bullies that shut you down whenever you speak out? Do you want to be involved in local decision-making but don’t know how to start? Citizen Ninja by Mary Baker might be the book for you. Citizen Ninja is a nonfiction book about creating, maintaining, and influencing healthy political discourse for more productive and responsive governments. This book is the solution for times when being passionate about an issue just isn’t enough to get stuff done. Ms. Baker frames her ideas around the character of a ninja. Ninjas were rogue samurai in medieval Japan, and like these medieval ninjas, Citizen Ninjas stand up to larger powers through non-traditional means by being creative and resourceful. A Citizen Ninja uses focus, flexibility, confidence, practice, and strategy to take an active role in his/her/their local government. Throughout the book, Ms. Baker not only explains the strategies involved with becoming a Citizen Ninja, but also some of the traps and pitfalls that cause well-meaning activists to stumble. She provides examples of good and bad actions related to many topics throughout the book. For many people, a book about political activism will gain appeal because 2016 is a major election year. This book, however, is really about the small decisions that local governments make all the time. Granted, it will serve you well when a dinner table political argument gets tough, but that isn’t the point. Ms. Baker’s book is non-partisan and not heavily concerned with federal politics. The perspective offered here is that government starts and ends locally. By becoming conversant with local politics, Citizen Ninjas can affect the ways that all politics impact their lives. Government is necessary for a well-functioning society, and American government is supposed to be based on the will of the people. Mary Baker offers tools that she herself has tried and tested in order to better equip ordinary Americans to influence their governments. Every citizen is supposed to have a voice; each just needs to learn how to speak so that others will hear. This book is extremely practical in this regard for every American. The public is responsible for the government, and regardless of what is seen on television, the person who shouts the loudest is often the last one that people hear. Ms. Baker shows how learning the rules, preparing in advance, and being aware of the people around you turn a citizen into a Citizen Ninja: an effective change-agent in the decisions that affect you directly. Do you worry about being marginalized by expressing your opinion in public? Have you been bullied in a town hall meeting or witnessed unethical behavior by your elected public servants? Are you fed up with politics but don’t know how to effect change? Do you wonder if civil discourse is even possible? Are you passionate about a cause but don’t know how to communicate effectively? Do you feel powerless? If you answered “YES!” to any of these questions, then you are poised to step out of your routine to learn how to speak up with confidence, effect change in your community, activate your civic rights, and stand up to influential government agencies! Associate Justice of the US Supreme Court Anthony M. Kennedy once said: “The right to think is the beginning of freedom, and speech must be protected from the government because speech is the beginning of thought.” The Declaration of Independence, the Constitution of the United States, and its Bill of Rights are three of the most powerful American founding documents because they defend that right and are our standard bearers for freedom and justice. These documents limit the reach of government, clarify its functions, and safeguard our rights. Citizen Ninjas are endowed with intrinsic sovereign, independent and self-determining rights, and using our founding and State documents and laws as our foundation, we work to perpetuate the power of self-government: a representative republic that is of the people, by the people, and for the people. Citizen Ninjas actively engage in the public square instead of passively allowing government agencies and public-private partnerships—which dominate political and governmental landscapes—to sideline us. To better understand why it’s important for Citizen Ninjas to be active citizen stakeholders, we have to understand how partnerships between government agencies, and favored corporations and selected NPO/NGOs impact our right to participate in government. Dominant public private partnerships that do not include citizen stakeholders represent a shift in power from self-government to governance by stakeholders. By wielding their civic powers, Citizen Ninjas reclaim their rightful place at the stakeholder table. Who Would Enjoy Becoming a Citizen Ninja? Order your copy of the book on Amazon by clicking below. Mary Baker is a political activist, speaker, author, and educator residing in Southern California. 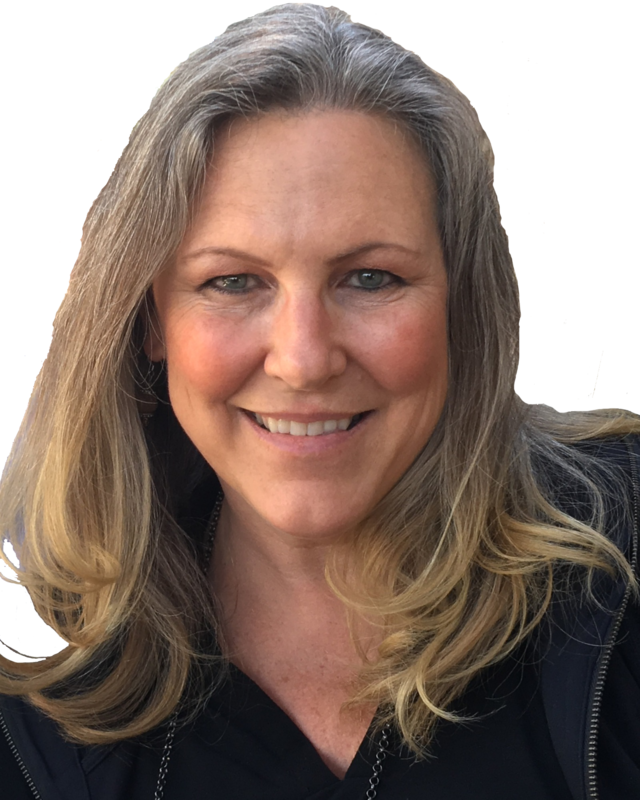 Her book, Citizen Ninja: Stand Up to Power was inspired by an activism workshop she created called How to Become a Citizen Ninja, a training on how to participate in the civic process, engage in civil political discourse, and how to neutralize bullies. Since 2014, Mary has trained over 1000 citizens on the art of effective and sustaining activism. ©2018 Mary Baker, all rights reserved.